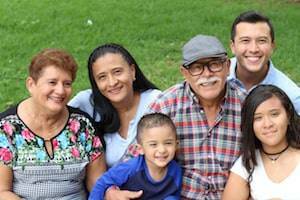 Jeff Rubin, author and advocate for positive aging, shares these thoughts about how we can start (or continue) to value insights about our lives observed by people of all ages, from young children to older adults. Maybe take these powerful ideas into your day as you begin 2019. Carmen Davailus Buck creates magic with images helping us stand out in the world. She left her career as a nurse practitioner to document the lives of families impacted by dementia and authored Just See Me-Sacred Stories from the Other Side of Dementia. She is a consultant and photographer for businesses and individuals who want to leave a remarkable legacy. She uses photography as an Alzheimer's Advocate knowing less fear = more love, compassion and kindness. Sherry Cormier, PhD is a psychologist, consultant and public speaker. Formerly on the faculty at the University of Tennessee and West Virginia University, she is the author of Counseling Strategies and Interventions for Professional Helpers and coauthor of Interviewing and Change Strategies for Helpers. She has co-written and co-produced more than 50 training videos for Cengage Learning. Her new book is Sweet Sorrow: Finding Enduring Wholeness After Loss and Grief. 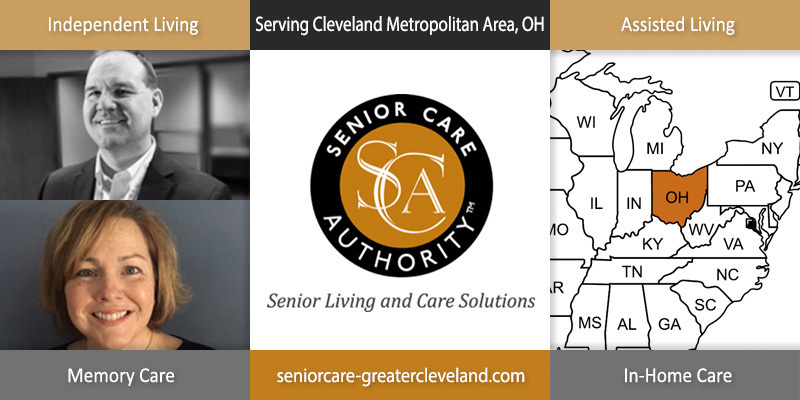 Senior Care Authority, the assisted living/dementia care residential placement and eldercare consulting services franchise, is pleased to announce the launch of its Ohio franchise and website. 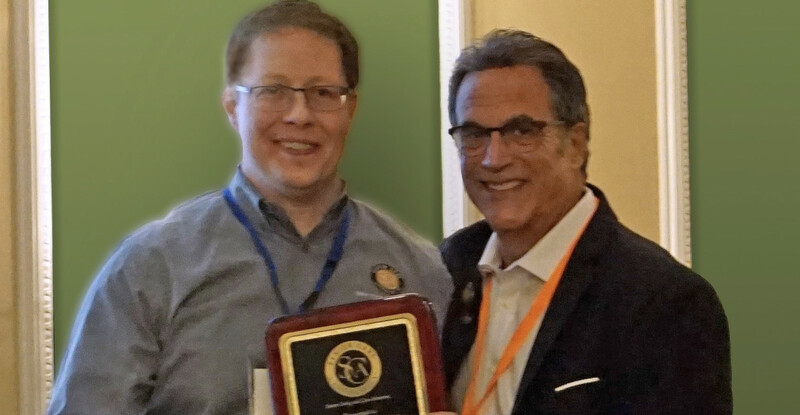 Senior Care Authority, the nation’s leading eldercare consulting franchise, has named John Alagood 2018 Franchisee and Senior Care Advisor of the Year. John is area owner of the Dallas - Fort Worth region. 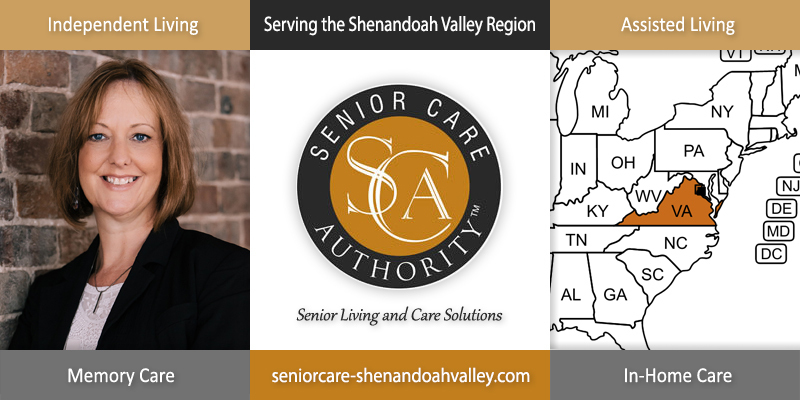 Senior Care Authority extends their presence in the State of Virginia as they announce a new franchise serving the Roanoke, Charlottesville, Fredericksburg and Shenandoah Valley regions. Dr. Stephanie Gray is the author of the bestselling book “Your Longevity Blueprint” and the owner of the Integrative Health and Hormone Clinic based in Hiawatha, Iowa where she practices. From gut to hormone health, optimizing your nutritional status to your genetics, and even detoxing the body, Stephanie is excited to share her expertise with the world. Christopher MacLellan is the founder of The Whole Care Network and has written a powerful and compelling book, "What's The Deal With Caregiving" that informs caregivers about how to deal with the challenges they will encounter, regardless of sexual orientation, family situation or age. Chris and his partner, Richard Schiffer were chronicled in a Pulitzer Prize nominated story “In Sickness and In Health: A Couple’s Final Journey” about their journey of caregiving. 9/28/2018 You may be hovering too much over your aging parents. (By MarketWatch) Choose your battles carefully and don’t sweat the small stuff, advises Frank Samson, CEO of Petaluma, Calif.-based Senior Care Authority, a franchise which provides senior care consulting. 9/10/2018 CEO Frank Samson featured on the Public Broadcasting Service’s prestigious website talking about how to avoid becoming a Helicopter Child to your parents. Choose your battles carefully and don’t sweat the small stuff, advises Frank Samson, CEO of Petaluma, Calif.-based Senior Care Authority, a franchise which provides senior care consulting. But children of aging parents must speak up “when their parents’ safety is at risk,” he said. 8/13/2018 Firms catch up on data privacy. Frank Samson hopes the California law will help prevent what he sees as troubling marketing tactics by some in his industry taking care of senior citizens. When people inquire about senior care companies online, it's sometimes on sites run by brokers rather than care providers themselves. "It may be in the fine print, or it may not be: We're going to be taking your info and sending it out to a bunch of people," says Samson, founder of Petaluma, California-based Senior Care Authority®. 8/10/2018 New Law May Force Data Practices Revelations (By The Associated Press). “It may be in the fine print, or it may not be: We’re going to be taking your info and sending it out to a bunch of people,” says Frank Samson, founder of Petaluma, California-based Senior Care Authority®. 8/08/2018 Hastings Tribune About New California Law. Frank Samson hopes the California law about consumers' privacy will help prevent what he sees as troubling marketing tactics by some in his industry, taking care of senior citizens. 8/08/18 New Law May Force Small Businesses to Reveal Data Practices. Frank Samson hopes the California law will help prevent what he sees as troubling marketing tactics by some in his industry taking care of senior citizens. When people inquire about senior care companies online, it's sometimes on sites run by brokers rather than care providers themselves. "It may be in the fine print, or it may not be: We're going to be taking your info and sending it out to a bunch of people," says Samson, founder of Petaluma, California-based Senior Care Authority. 8/02/2018 Frank Samson, CEO of Senior Care Authority® for Chicago FOX 32. Everybody's heard of helicopter parents, but Frank Samson, CEO of Senior Care Authority®, talks to us about how to avoid being a helicopter child. 7/25/2018 Senior Care Authority® of Houston North for KPRC Click2Houston. 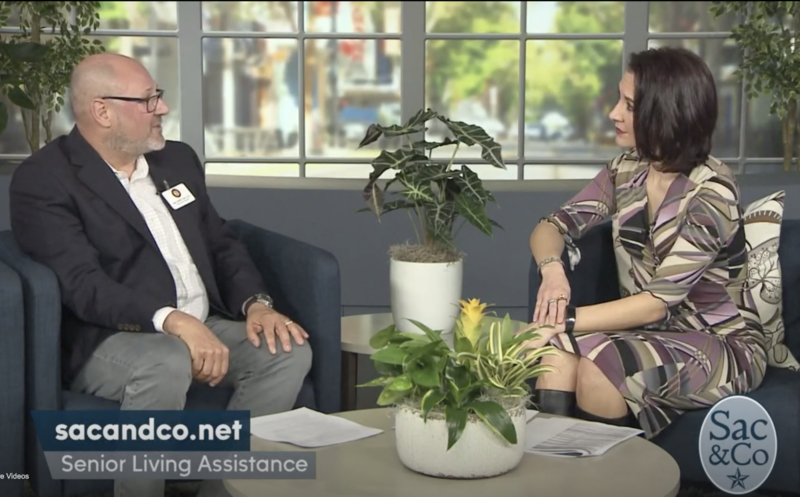 How to tell if you're a helicopter child to your aging parents, Senior care expert with Senior Care Authority, Gary Blizzard shares his experience on the Houston TV. 7/17/18 Senior Care Authority® Named Fast-Growing Franchise. Senior Care Authority®, recently named a top emerging brand, continues to receive recognition as a world-class company in the senior care consulting industry. For the second consecutive year, Senior Care Authority exceeded its growth goals, securing its place on Entrepreneur magazine’s Fastest Growing Franchise list for 2018. 7/17/18 Senior Care Authority® Named Top Emerging Franchise. Senior Care Authority®, one of the nation’s fastest-growing senior care consulting companies continues to receive national recognition from industry leaders. Franchise Business Review has placed the national network of highly-trained senior care experts on three of its lists for the Top Emerging Franchises, Top Low-Cost Franchises, and its acclaimed Top Franchises for Women ranking. 7/06/2018 Don't be a "helicopter child" (by San Antonio Living). We all know someone who is a "helicopter parent", but studies show we are starting to see more "helicopter children". Hear about the ways adult children are micromanaging their aging parents and ways you can avoid becoming a "helicopter child". 7/31/15 Senior Care Authority Continues Expansion with 12th Franchise Operation Senior Care Authority today announced the addition of a new franchise operation in the Denver, Colo. area, the 12th franchise to come on board within the past seven months. Founded in 2009, the senior placement company began its franchise marketing efforts last fall and currently has offices in California, Texas, Arizona, Minnesota, Virginia and Colorado, with more offices starting in the Pacific Northwest and Southeastern U.S. within the next 30 days. 6/30/15 Senior Care Authority Expands with East Coast Office After retiring from a 29-year career with the Department of the Army, Cynthia Spencer-Bass fulfilled her lifelong dream of becoming an entrepreneur. She bought the Senior Care Authority franchise serving Northern Virginia and Washington, D.C., becoming the first East Coast franchisee for the Sacramento, Calif.,-based company, which also has offices in California, Arizona, Texas, and Minnesota. 2/4/15 Top Dementia Expert Warns of Lewy Body Dementia on The Aging Boomers Teepa Snow discusses Lewy Body Dementia: how it differs from Alzheimer’s and Parkinson’s, its symptoms, treatment options, and the importance of getting an early diagnosis. 1/21/15 Senior Care Authority Expands with Opening of South Orange County Franchise San Clemente office matches families with the top senior living options in south Orange County, including independent living, assisted living, dementia and memory care, and residential care facilities. 1/8/15 The Aging Boomers Podcast Joins Boomeon The Aging Boomers can now be heard on Boomeon, the online community for Boomers. The podcast educates listeners on many of the physical, financial and mental health issues facing Boomers, their parents, and an aging population. 12/9/14 Senior Care Authority Expands in Bay Area with Contra Costa County Franchise Transitions with Care matches families with the top senior living options, including independent living, assisted living, Alzheimer’s and dementia care facilities. 12/3/14 Senior Care Authority grows with South Bay Area Franchise As Senior Care Authority franchisees, Los Gatos couple helps families find the best senior living options for their loved ones, providing personal and compassionate service throughout the whole transition process. 11/23/14 Senior Care Authority Appoints New Management, Expands Senior Care Services Senior placement company Senior Care Authority (SCA) has selected elder-care management expert Marcy Baskin to manage its North Bay operations. With Baskin’s appointment, the company begins rolling out new senior-care management services throughout its nationwide network. 1/2/14 Senior Care Authority Further Expands Placement Network in California and Florida Senior Care Authority Network (SCAnetwork) adds local Placement Agencies to help Families find Assisted Living and Dementia Care Locations with knowledgeable, full-service experts. 4/8/13 Senior Care Authority Conducting Informational Webinar on Senior Care Business Opportunities Online seminar will provide information on in-home care, senior move managers, senior placement and more. With the “silver tsunami” heating up, there continues to be a need for talented people who want to grow their own businesses while helping others. 2/28/13 An Upcoming Series on Dementia Announced on The Aging Boomers Radio Show With Alzheimer’s and other dementia-related diseases increasing at an alarming rate, “The Aging Boomers” continues its series of guest authors who discuss their experiences and expertise in this area. These interviews will not only preview their books but also help to educate family and professional caregivers on this growing epidemic. 2/26/13 Senior Care Authority Expands Network of Local Experts to Help Families Find Assisted Living or Dementia CareSenior Care Authority Network (SCAnetwork) has added senior placement experts in California, Colorado, Arizona, Oregon and New York to assist families whose loved ones need supervision or care. SCAnetwork Senior Placement Advisors are familiar with the assisted living and dementia care locations in their local communities. 12/10/12 Senior Care Authority Network (SCAnetwork) Adds Subscription Support Services for Senior Placement AgenciesThose that specialize in helping seniors find assisted living, residential and dementia care can utilize these support services on a subscription basis. AutoPlace®CRM, AutoMail® Newsletter SCANET® Referral Program and CareTalk® assist Senior Placement Agencies in their business operations and marketing efforts. 12/9/12 Cannabis Helps Seniors with Dementia, Depression, Arthritis, Cancer and Asthma Frank Samson, host of “The Aging Boomers” interviewed an attorney and physician to discuss the legal risks and medical benefits for seniors taking cannabis for medicinal use. 8/29/12 Senior Care Authority Network (SCAnetwork) Adds Members Providing Local Assisted Living and Dementia Care Placement Senior Placement Agencies in Illinois, Oregon, and Southern California, as well as new senior care start-ups in New York, Florida and Colorado, has become part of this growing network. 8/13/12 Teepa Snow, Renown Dementia Consultant and Educator Appears on “The Aging Boomers” Radio ShowShe provides an understanding of the various types of dementia, including Alzheimer’s, Vascular Dementia and Lewy Body to help Family Caregivers. 7/26/12 Senior Care Authority Network Adds Coaching to its Senior Placement Training Program In addition to the Online Training Program taught by industry professionals, participants have the option to continue with the Coaching Program as their businesses become operational. Combining the online training with actual situations is an important part of the learning process. 5/30/12 The Aging Boomers Radio Show Interviews Seniors who Discuss the Challenges and Solutions of Aging Two very knowledgeable seniors talk about their experience with assisted living, in-home care, and dementia online and radio. 4/30/12 Senior Care Authority Founder Speaks Out on Senior Placement and Assisted Living With the growth in assisted living, residential care homes and dementia care locations, senior residential placement services have an opportunity to provide a much-needed service to families. 4/24/12 Colorado Group Enters Senior Residential Placement Market And Becomes Member of SCAnetwork Colorado Senior Care Advisors took a step forward by joining SCAnetwork and assisting those needing help in locating assisted living, residential care homes and dementia care locations that best meet the senior’s needs. 3/13/12 Senior Care Authority’s Founders Earn CSA DesignationSenior Care Authority believe that education is the key to helping professionals work with seniors and their families more effectively. By successfully completing the only nationally accredited designation of its kind, the CSA course addresses the vital aspects of understanding seniors’ needs. 2/29/12 SCAnetwork Enhances Training in Senior Care SCAnetwork, a division of Senior Care Authority, provides training to those interested in starting their own senior residential placement business. The program has been updated to include instruction by several professionals in the industry as well as enhancing its subscription program for users. 1/27/12 Assisted Living and Nursing Home Differences Discussed by Senior Care Authority on KRON4TV Though staying at home is certainly the choice of the elderly, it may not be the safest or least costly choice. Does your loved one know how assisted living and nursing differ?